You've just finished the unit on the Revolutionary War, now what? 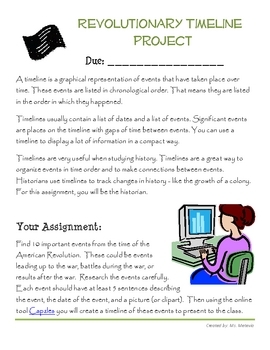 Now, have students research 10 events leading up to or during the war and create an online timeline! With these detailed instructions, it couldn't be easier! 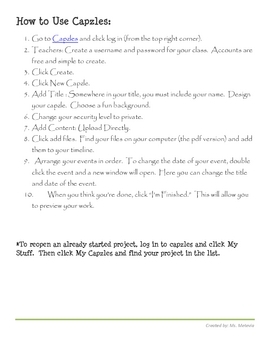 The kids loved playing on capzles.com and creating their own timelines.